Between 1937 and 1945, approximately 55 million people perished in the series of interrelated conflicts known as the Second World War. No continent was left untouched, no ocean unaffected. The war led to the eclipse of Europe and the emergence of the United States and the Soviet Union as global superpowers; ushered in the atomic age; produced, in the Holocaust, the most horrific crime ever committed in the history of Western civilization, and led to the end of Europe's colonial empires around the world. But though World War II defined an entire epoch in human history, pressing questions remain - about whether Hitler could have been stopped earlier, about Pearl Harbor, about saving more people from the Holocaust, about using the atomic bomb, and even about how close the Allies came to actually losing. 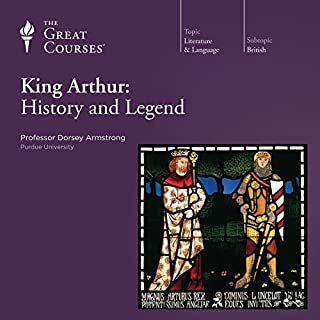 This engaging series of 30 lectures is rich in detail and near-cinematic portraits of leaders and events. 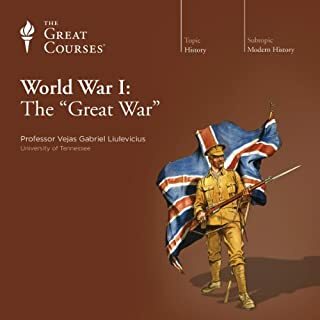 It explores not only the origins of the war, including the impact of the Treaty of Versailles, but also how it unfolded on both battlefront and the American home front, with focused looks at key subjects like Nazism and the Holocaust and the philosophy of strategic bombing and its impact on the future nature of warfare. The course is interesting and well performed. However, the title is misleading. It should read something along the lines of "The role of USA in the second world war". It focuses almost exclusivly on the US and primarely on the Pacific front of the war against Japan. 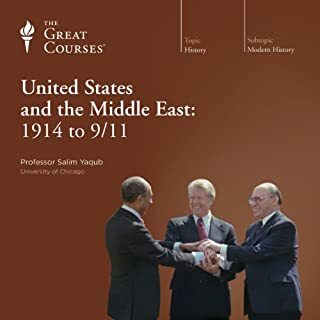 So if you are looking to understand how the US got involved and how the war was fought by american forces; this is a good course. However, if you want to get a broader understanding of the war besides the american perspective, you have to look elsewhere. To sum up, it is a good course that focuses on a small part of the second world war. 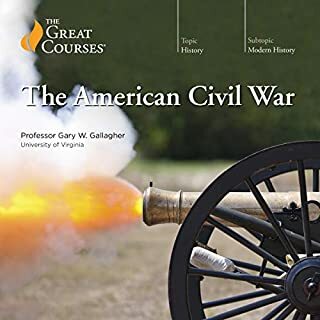 If this is the only course you are going to read about the war, you will miss the big picture. 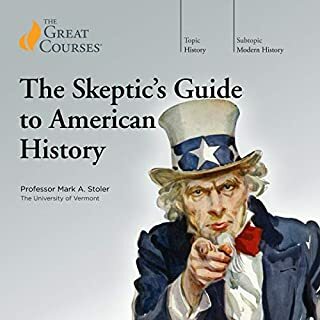 But if you have read a bit of other litterature that explains other parts of the war, this course will work well to understand the role of the US. What made the experience of listening to World War II: A Military and Social History the most enjoyable? 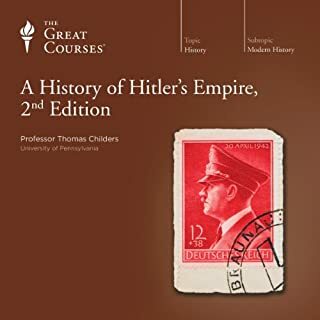 I did not know much about the details of WWII before listening to these lectures. I now feel that I have a great understanding of all of the theaters of the war and how they were related. What was one of the most memorable moments of World War II: A Military and Social History? He had a good balance of the big picture and then would present personal details of how the war affected different individuals. What about Professor Thomas Childers’s performance did you like? He was an excellent lecturer. The content, the pace and his voice made it very enjoyable. Usually I cannot just sit down and listen to a book on tape but with this one I was drawn in, it was like a novel unfolding and I wanted to see how everything fit together. I spent many hours at a time listening. I have enjoyed many of the Great Courses, but this was by far my favorite. 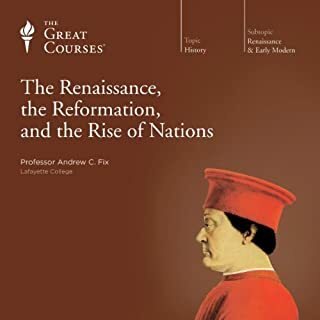 I have listened to dozens of "courses" from the Teaching Company over the years and this is one of the best. It was done a while ago but it still very worthwhile. 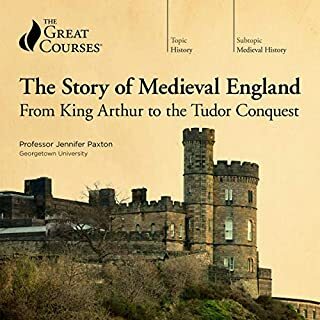 What a treat to be able to listen to it via Audible. Professor Childers is an excellent lecturer and great storyteller who has an infectious enthusiasm for his subject. It is titled "a Military and Social History" but know if that it is about 80% military and 20% social. 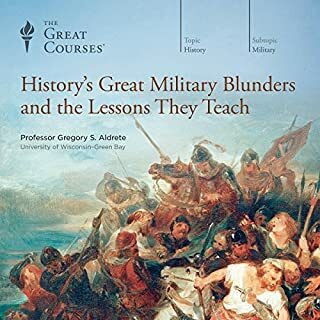 I wish there would have been more social or political context but I wouldn't have traded any of the military side - they should have just added additional lectures and I would have been quite happy. Prof. Childers does a remarkable job telling the story of this literally global catastrophe that is very easy to follow. It is hard to imagine a traditional book brought to audio that could accomplish the same feat. 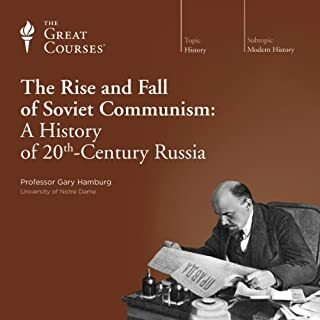 This was my first teaching company lecture series I ever listened to (over 10 years ago) and at that time I had only a cursory understanding of WWII. In the intervening years I have been an enthusiastic student of all things WWII and have read at least 15 books on various aspects of the conflict and visited numerous sites/monuments. So I can honestly say the lecture will be equally enjoyable whether you are new to the subject or you are familiar with it. Prepare for time well spent. The most colorful WWII audible narration ever! Most of the literature out there on WWII is very hard to follow if you do not have a background in history or are familiar with the 40's. This is one of the reasons it was hard for me to ever finish a WWII book reading attempt. 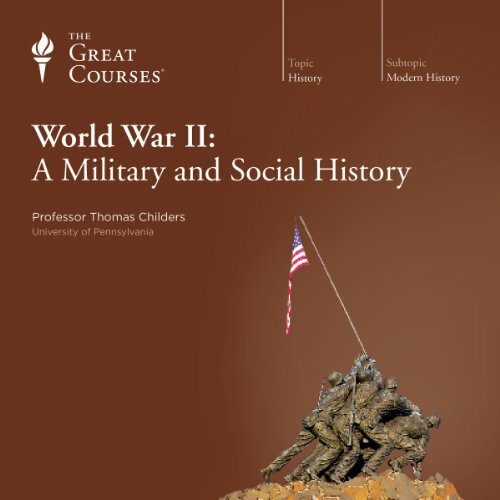 However with Prof. Childers the whole WWII becomes a really entertaining journey to WWII with an easy to understand narration that describes history in detail and colorful explations. Prof. Childers narration is so vivid and entertaining that it gets you from the first minute. The book is structured in a comprehensible manner going over the main events in WWII and their impact in society. 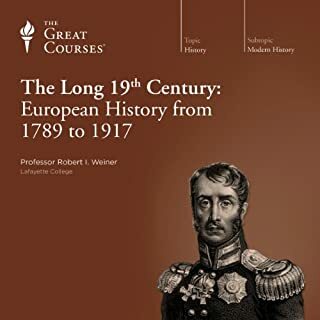 This has been one of the most enjoyable listening of The Great Courses so far, not only for it's entertaining value but all the important events in history narrated here that everyone in Europe, America and Asia should know about. 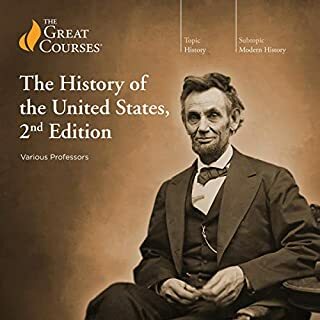 I've listened to several of The Great Courses offerings, and by far my favorites are those on history. Done well, and most of them are, it's a lot like listening to someone read you an epic novel. In this case, it's the story of the single most important event in human history - WWII. Childers delivers the scenes and the names we know, but also fills out with lesser known facts and weaves them into a narrative that covers both theaters, European and Pacific. That he does so in a rather matter-of-fact voice only serves to underscore the drama. There are quotes from the names you know, and snatches of personal letters from people you've never heard of. You get the background information, the cultural factors that lead into the start of the war. You get all the numbers and dates that so bored you back in high school, but in a context that makes them anything but boring. You learn of the Allied triumps and the heartbreaks. You learn that some of the most pivotal moments were combinations of mistakes on both sides, and plain luck, both good and bad. You'll hear about the Miracle of Midway, the heroic bloody battles fought in Russia, the incredible feat of the Army Rangers in climbing Pointe du Hoc under enemy fire, the Bataan death march, and more. And in the end, you'll know why it was The Greatest Generation. 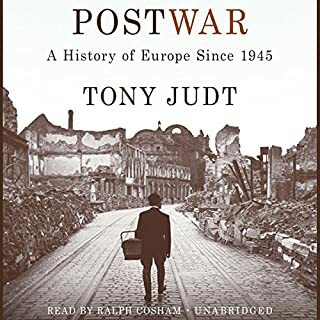 This great course is truly worth going through if you want to understand the details, the reasons and effects of World War II on all fronts, linking it to its predecessor and focusing chronologically on the events of the war. 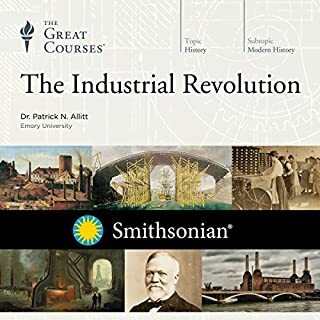 This is the first lecture series from the Great Courses that I have listened to. In the past I have totally enjoyed the Modern Scholar catalog. 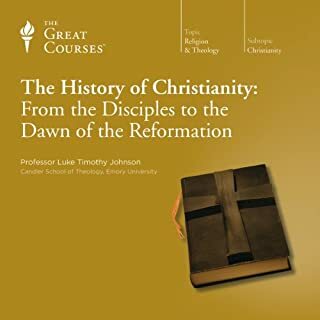 I have listened to quite a few of Professor Thomas Madden's work and have come to totally enjoy his courses. First off let me say that Professor Childers does an excellent job presenting this lecture series to us. He speaks clearly and distinctly. His knowledge of WW2 is extensive and he feels comfortable talking to us. Despite this, this series does have its flaws. First off, this is a lecture about WW2 and not about Nazi Germany. As such, hardly any mention is made about the years 1919 - 1939. It is as if this period holds no importance. Many of the top Nazis aren't even mentioned. The Battle Of Dunkirk is discussed and we are only 40 minutes into a 15 hour lecture. This IMO opinion is a major flaw. Way too much history is ignored. fact, most of the Pacific campaign is vividly presented. It is from this point that the series takes off. The discussion about the final bomber raid over Germany on April 21, 1945 is gut wrenching. Bravo Professor for including this. Another defect of this presentation is the canned applause and chamber music that signals the start of another lecture. It got to be totally annoying. 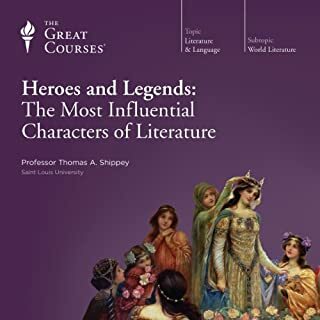 The high point of this course is the narration of Prof. Childers. I got a better understanding of the Japanese battles and the brutality of the pacific front. This is a clear concise review of the war on both fronts. I have listened to two books by Donald L. Miller "The story of World War II" and Masters of the Air" both are wonderful and worth the time. I highly recommend this course to remind us of the sacrifices made by our parents and grand parents. 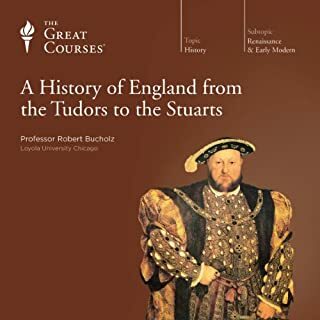 By far, the best audio "book" I have listened too. Learned a tremendous amount about the war and the strategies, successes, and failures. 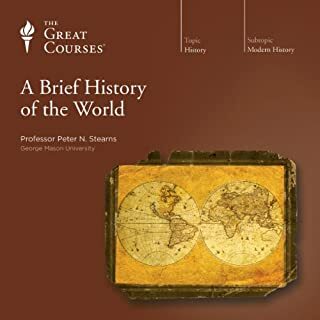 I recommend to anyone interested in history, war, or massive global events. It focuses more on a Western view, but still fairly unbiased and neutral.